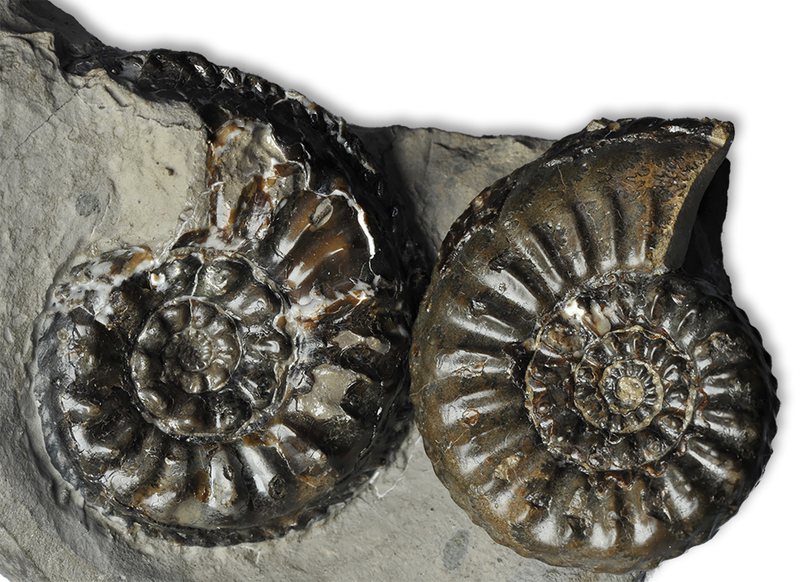 Gemmellaro*´s ammonite – scratch one off the “Wanted” list ! asking me for an identification. pyritic internal mould on a small block of shelly matrix. 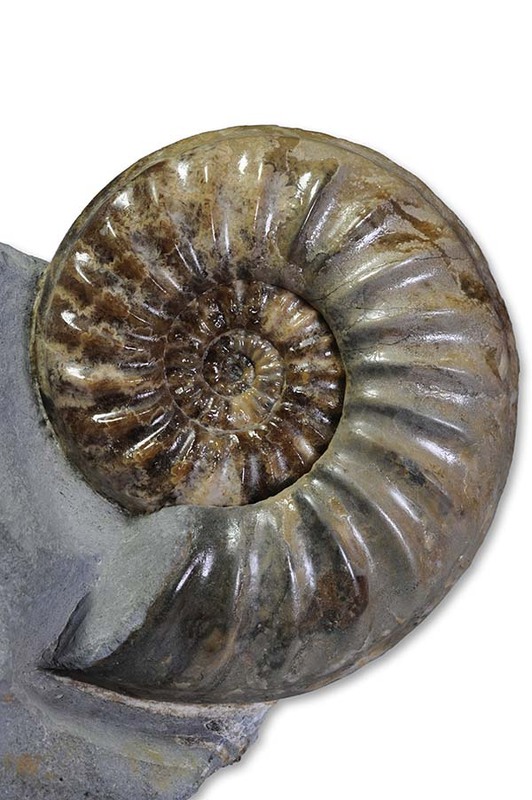 A few days later Byron put this ammonite up for sale and (you know me) I could not resist…. suggests, and has about half a whorl of body chamber preserved. 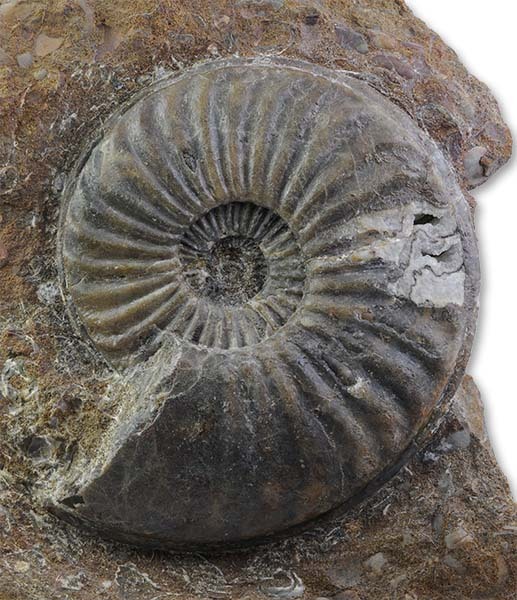 in this ammonite so we´re also clear about this. scratched off my “Wanted” list – done ! Scratched off the “Wanted…” list ! I found a species new to my collection today – in the drawer ! After almost 25 years collecting on the Yorkshire coast, finding a species that I do not have yet in my collection does not happen very often. I had found at Hawsker in the summer last year. I remember the circumstances of that find very well, there was a piece of dark shale that had fallen from somewhere higher in the cliff, and the piece looked like it came from the upper lias. 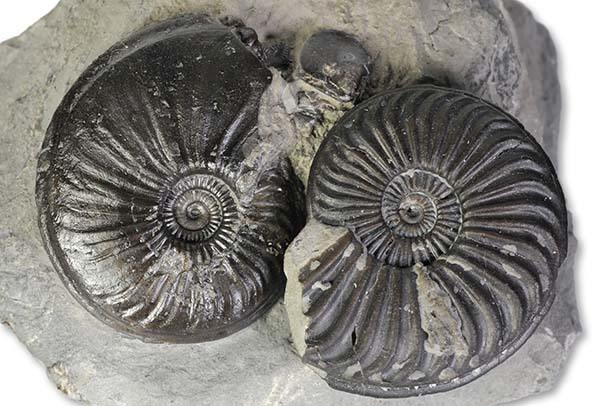 There was a small greyish nodule embedded in that piece of shale and something that looked like a separate, non-nodularized whorl of a flat ammonite beside it. The nodule looked like it was rebedded, it had what looks like cracks on the outside that had been filled again with shale material. I got curious and split the nodule – and was surpized to find a small Amaltheus inside. The separate piece of ammonite whorl looked very worn and I could not really identify what it was. 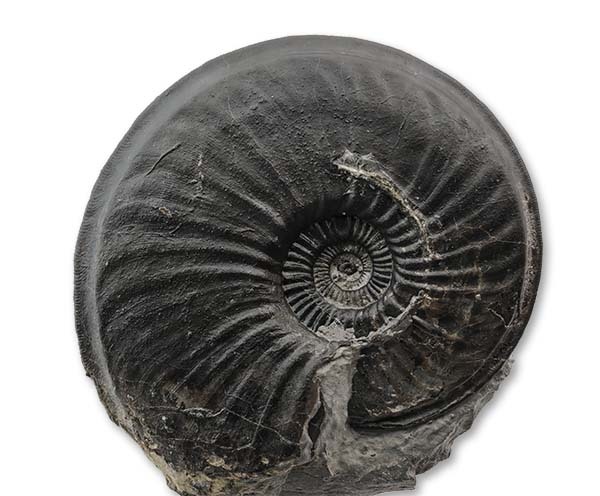 Back at home I prepped the little ammonite, put a label of “Amaltheus subnodosus” on it and forgot all about it. So when I saw it again this morning, I took it out of the drawer and decided to take a second look…it looked different. Counting the ribs I found it had 12 ribs at around 20 mm, and 17 ribs at around 35 mm, compared to an A. subnodosus with 16 ribs at 20 mm and 21 ribs at 34 mm. On the inner whorls the tubercles are very strong and almost elongated, the tubercles almost are the ribs, on an A. subnodosus they are a lot less strong. 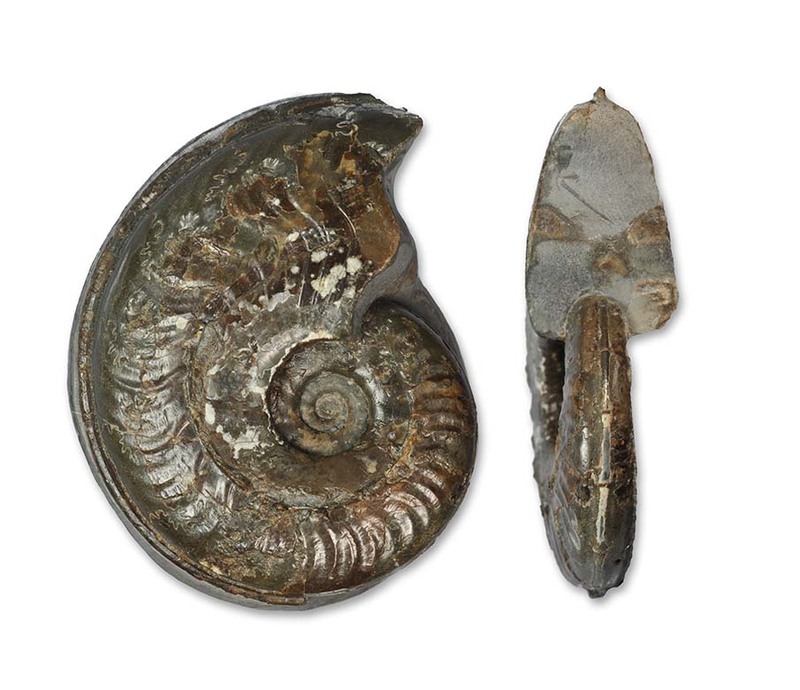 My conclusion is that this ammonite is an Amaltheus gloriosus HYATT, 1867. “Der Jura” (table 20, fig. 9-12). A very good match was also found in A.E. Richter´s Book “Südfrankreich und seine Fossilien”, page 69 fig 49. 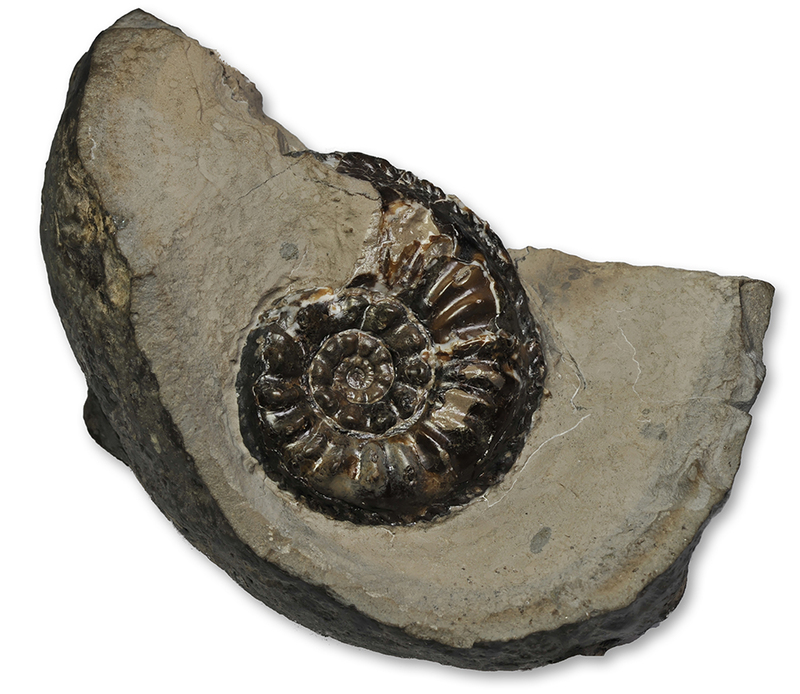 And that´s one more ammonite off the “wants list”- the Yorkshire coast never ceases to surprise me ! 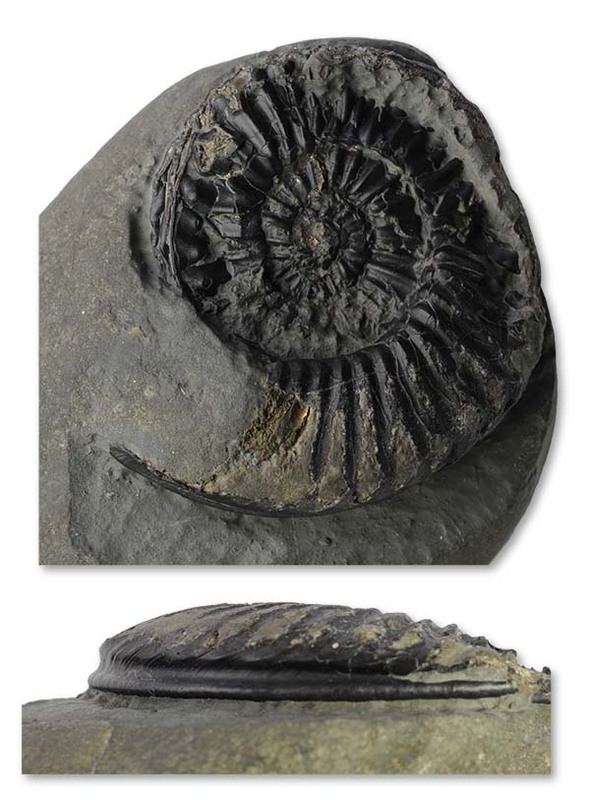 Asteroceratinae is a subfamily of ammonites more usually associated with the Dorset coast, the beautiful, sometimes large, ammonites in all shades of calcite from deep brown to light yellow come to mind. In Yorkshire species like Asteroceras or Eparietites are less common in such nice a preservation, and I have not seen the beautiful brown & honey colors – greys & blacks are more prevailing in Yorkshire coast specimen; body chambers without inner whorls can be seen quite often on the scars, complete specimen can usually only be found in concretions, which are usually soft enough to prep the ammonites completely with shell – carefully done, it reveals shell details that you rarely see from anywhere else. From what I´ve seen, theses so called “Scunnies” belong to species that are basically the same as on the Yorkshire coast. 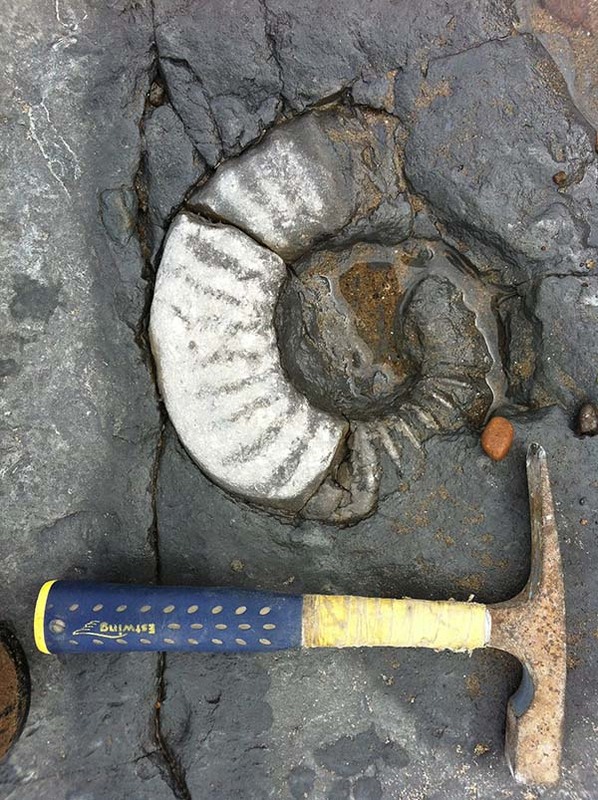 Opportunities to find Asteroceratinae ammonites in Robin Hoods Bay have become relatively rare; more often than not, the beds containing these ammonites are covered by sand or rocks in Robin Hoods Bay. Larger specimen are particularly rare, but they are there – the picture below was shot on day in March 2012 where a window down to the beds below a boulder field had opened – I was counting 6 large Asteroceras in an area of about 20 x 20 m – all of them were eroded like the one pictured. Two days later, that window had closed. Also remember – this is an SSSI exposure, please collect responsibly ! Epophioceras – looks more like a Gagaticeras or an Echioceras, only in this subfamily due to similar suture. Of course, some of these species can also be found on the Cleveland coast and in the glacial drift at the Holderness coast. from A. blakei and it has the least ribs/whorl of the species. 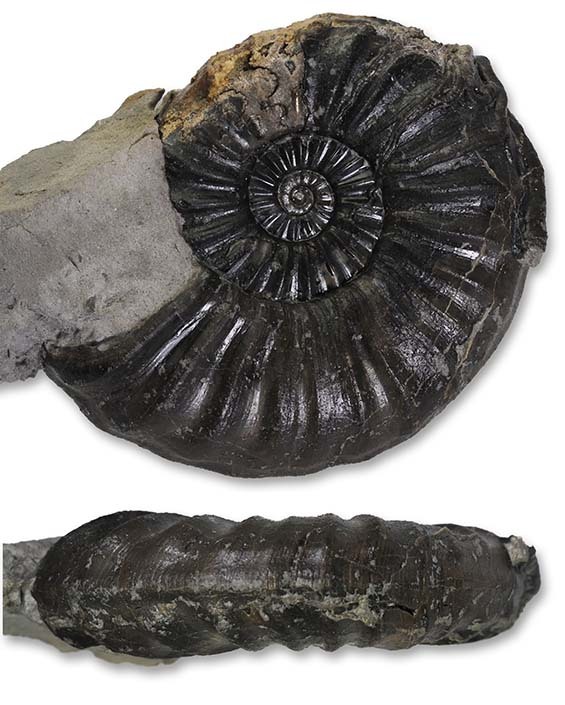 This is a thicker species of Aegasteroceras which has even less of a keel compared to Aegastoceras saggittarium. 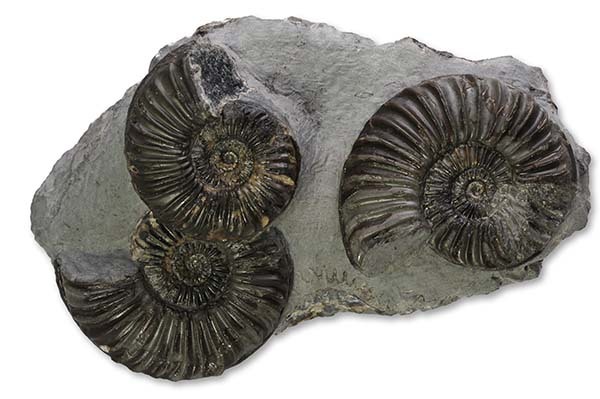 I have many Aegasteroceras saggittarium in my collection, but none of the are very well preserved. Caenisites turneri seems to be very rare from Robin Hoods Bay, this is the only specimen I have found so far, and it is badly crushed in the inner whorls. thicker whorls than C. brooki, a bit more evolute, but the keel rises above the side keels. shown in the previous post – sadly the outer whorl was mostly eroded. It´s most diagnostic feature is the strong keel that has no real side furrows. As you might have gathered, I´ve been collecting on the Yorkshire coast again at the end of March, and there are a few finds worth mentioning, that I have prepared now. Also there are a few new acquisitions, either through generous gifts / trades from friends or purchases from fossil shops or eBay. – but when I picked up this inner whorl of a Lytoceras this March on the beach and turned the rock around I knew I finally found one ! This one looked up from a puddle at Shaun and I while we were collecting around Hawsker. Coroniceras ammonites is that usually only very large specimen are pictured in literature and inner whorls are rarely pictured / preserved – so I had not had a lot of confidence in my identification. As part of a trade, Shaun Tymon gave me this larger (6.5 cm) specimen off the Holderness coast, which can now be confidently identified as Coroniceras deffneri – and it makes the list of specimen for the book one entry longer, since it had not originally been on there ! Thanks again, Shaun ! This Uptonia lata came from Byron Blessed’s shop and had apparently been part of a larger Saltburn collection, that seems to have been sold to a couple of different dealers as lots – I think I have several different items from this collection, all have come with a characteristic small neat typewritten label. With this one, the lower lias “wants” list is now one entry shorter and has been updated accordingly. 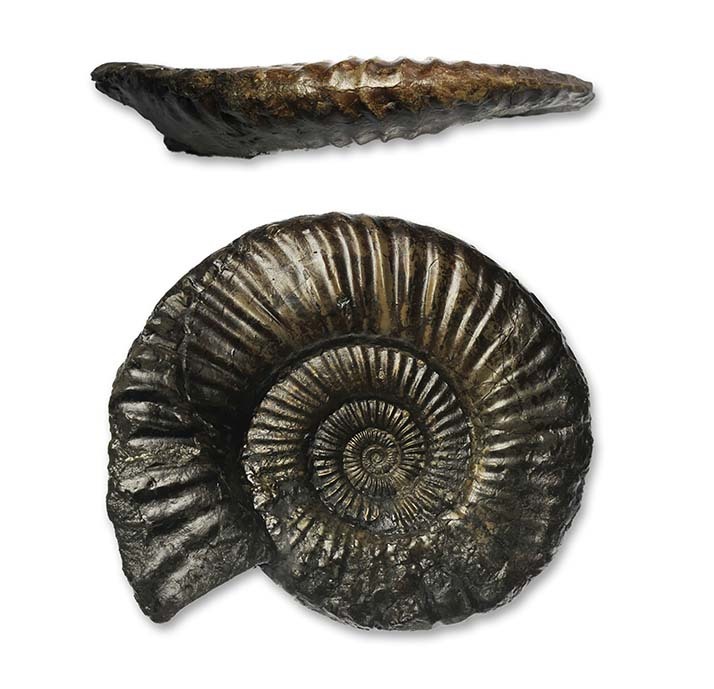 I regularly check eBay for interesting finds and this one caught my eye since it was labeled as a species that I had not come across from the Yorkshire coast : Harpoceras soloniacense. discovered relatively late in Yorkshire.